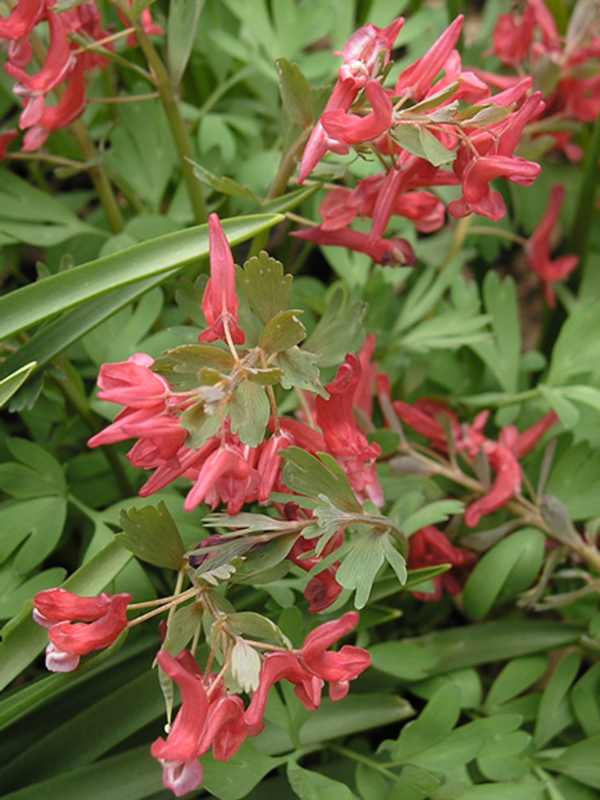 Corydalis solida subsp. solida 'George Baker' is a herbaceous perennial with tuberous roots, grey-green leaves and brick-red flowers in erect racemes. Grows well in a fertile, moist soil in full sunlight. Leaves are grey-green and divided. 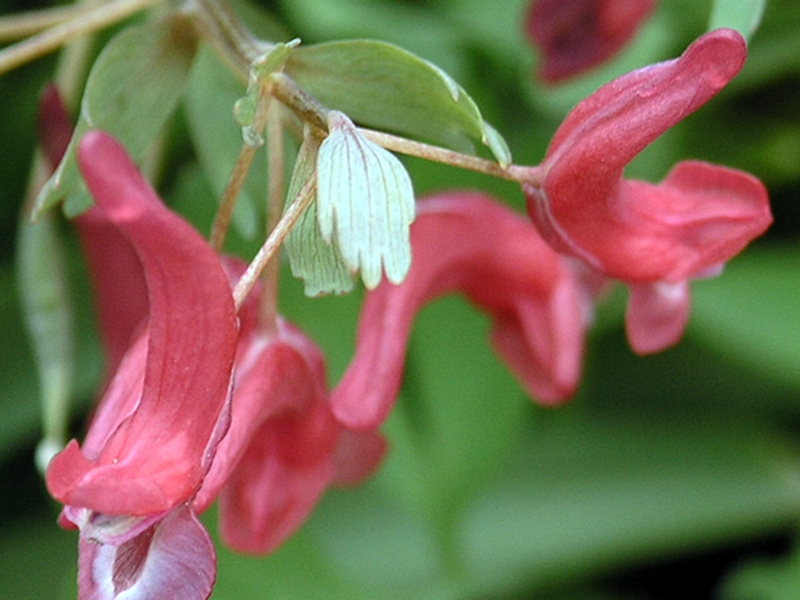 Flowers are deep red in colour, with a tubular shape, appearing in an erect raceme.